Congratulations! You are pregnant! You might have some questions about what’s next and your medical follow-ups. Here are some tools to help you find your way through. Call for an appointment at 514-364-3700. If we are unable to offer you an appointment immediately, we will ask you to leave your contact informations. We will schedule an appointment with each of you as soon as possible. 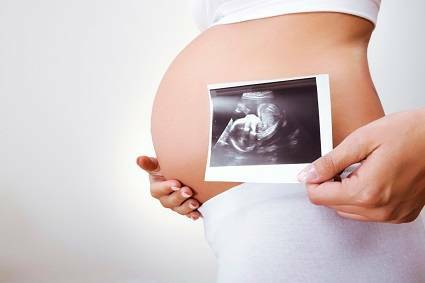 We strongly suggest that you have a look to Your First Visit and Prenatal Screening before your first appointment. The doctor you will meet is an obstetrician-gynaecologist specialist. He or she is part of a team of 12 specialist doctors affiliated with LaSalle Hospital. Your doctor will be the one responsible for your pregnancy follow-up. However, in case of emergencies, routine ultrasounds, or when your doctor is absent, you may meet with other members of our team. On the day of your delivery, the specialist doctor on call at the hospital will be the one caring for you (unless you have a planned C-section). Deliveries take place at LaSalle hospital. Upon appointment, you may take a guided tour of our birth unit «Unité familiale des naissances» by phoning (514) 362-8000 extension 31815. Appointments are usually taken at least 3 months in advance, therefore we suggest you call around your 24th week of pregnancy. Our team is composed of 9 women and 3 men. By no means will we be able to grant a discriminatory request regarding the gender or your doctor. You are welcome to consult our clinic's policy in regards to equality. LaSalle Hospital is a teaching facility affiliated with various universities. During your stay, you might meet with and receive care from students at different academic levels. Be assured that they will be under our close and constant supervision. If you have concerns about this matter, we invite you to discuss it with your doctor.